»Terlingua Wall Hanging - 2 sizes available! The Terlingua is named after the famous Texas ghost town. The colors in this piece are meant to suggest the turquoise and copper jewelry found in shops and markets throughout West Texas. 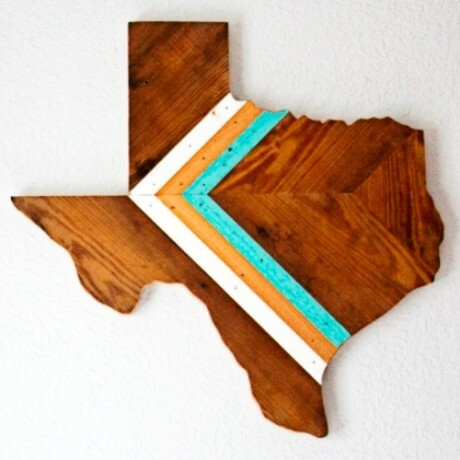 This piece features reclaimed siding painted in white, copper, and turquoise wood chevrons, and natural shiplap pine as a complement to the brightly-colored central design element. 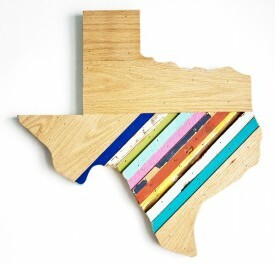 Handmade in Austin by Hemlock & Heather using 100% locally-sourced, reclaimed wood. Please remember, every piece is made with reclaimed materials, some variation in color and character will occur.